The event at Touch of Grayce was successful. Lots of people were receptive to our discussion on Fair Trade and we were able to direct people into where Fair Trade products were located in the store, and what kind of things they can look for on packaging in other stores. There is still a long way to go in getting Geneseo to be a Fair Trade University. However, we all have a new understanding of how things are achieved at a public institution. This experience has been valuable in linking our understanding to environmental efforts and our class discussion. We were able to experience environmentalism in action as well as the many obstacles that the movement faces when trying to enact policies. Even though the semester is ending as well as the project, we all remain dedicated to making sure Geneseo becomes a Fair Trade University. Because the Commission expressed that often these social movements become unsustainable because students graduate and are unable to keep the movement. We are hoping to recruit younger students to be passionate about Ft to continue the movement. After a conversation with Jonna Anne, the Director of Restaurants and Cafes at CAS, we felt that neither we nor CAS were fully aware of what Fair Trade products were sold on campus. Jonna Anne did not have a list of what was sold and where so we could include that in our Fair Trade Brochure. Maddie also talked to workers at Touch of Grayce about their Fair Trade products and they were excited to discuss what kind of products they sold and where they were in the store. Due to their enthusiasm, we thought it would be beneficial to host a Chocolate Tasting and Holiday Shopping event at Touch of Grayce in the midst of holiday shopping and thought students might be in need of retail therapy and free chocolate during finals. Touch of Grayce was really excited about collaborating with student efforts on campus and in the community. We created a brochure, highlighting Fair Trade at Geneseo and in the world. We thought a brochure to hand out would be best, because even if people do not decide to purchase Fair Trade products, they will have something to refer back to and they will read the benefits of Fair Trade products and will be aware of the movement while continuing their holiday shopping. The Fair Trade Resolution is the first necessary step in order to change SUNY Geneseo’s procurement policy. However, because Geneseo is apart of the broader SUNY system, which has various purchasing contracts with businesses in the state. This was our main pushback from the Commission and they expressed their concerns of having a SUNY Geneseo Fair Trade Resolution and how many of our purchasing contracts are separate from what the college is able to do itself. Procurement is multi-dimensional, and as a public state institution, we bounded by bureaucratic contracts and purchasing agreements that make it difficult to change these policies. The Commission suggested that we meet and discuss more closely with procurement at the College to see what Geneseo can do specifically. Both Meg Reitz and Dan DeZarn expressed that Geneseo has some flexibility in the “Offices” and “Stores” areas of the Resolution, and it would be best to begin with those. After that, it would be easier to tackle taking about procurement and language in some of SUNY’s state-wide required contracts. Many of the contracts include language about purchasing from companies that emphasis “minority- and women- and veteran-owned businesses, ”but does include any language of fair trade in any of its contracts, nor does Geneseo specifically.” The Commission suggested that it might be useful to target this language and replace it with Fair Trade. Similarly, CAS offered some pushback. Although the Resolution is non-binding and reaffirms what the college is already doing in terms of Fair Trade projects, CAS expressed concerns that they would take this as a non-binding agreement. They felt that if the President was going to sign something, then they would feel obligated to follow these guidelines and they didn’t feel as though there was enough of a discussion on the implications of the resolution and what it meant for CAS. Moving forward, the Commission suggested that we form a more sustainable Fair Trade team that is composed of non-graduating seniors, CAS, and Procurement. There are many projects that reach the Commission and can take years to accomplish, however, there are not always students to keep the movement going. Similarly, students do not hold as much “political” power as administrators in CAS or in Procurement so it would be helpful for to the effort to have these kinds of people engaged and eager to see change at the college. Going off of “Offices” and “Stores,” they suggested we bring more awareness to these areas and possibly highlight them during GREAT Day to show what students are doing and what their interests are, as well as highlight the challenges due to how SUNY is organized. They also suggested we find out more information from other Fair Trade Colleges and Universities, specifically public colleges, to understand their challenges and what they did to overcome them. Our understanding was that we needed the Resolution to be signed before we change Procurement, so Fair Trade club has been working on the Resolution as the first step. However, there needs to be greater discussion to see what exactly could be done in the college’s purchasing agreements. We also failed to take into account the organization of SUNY and its effects on the way Geneseo itself is organized. This reflects the wider understanding of environmental and social movements, and the problems that may arise for organizations that do not have the same resources and political power. While Geneseo has late on its response to sustainability efforts, the President’s Commission is dedicated to understanding and acknowledging grassroots efforts and value the interests of students. However, the wheels of bureaucracy are a huge obstacle in implementing new environmental policy, and we got first hand experience in doing so. There are so many different facets at the college that this Resolution would effect, and although this does not even change anything specifically about policy, we received pushback because the Commission wanted to make sure that Geneseo had adequate resources to move forward. While we have the support of the President’s Commission, there is much more work to be done before getting the President’s signature. At the President’s Commission on Sustainability Meeting on December 7th, 2018, we plan to present this information to explain why SUNY Geneseo should sign a Fair Trade Resolution and become the first SUNY to become a Fair Trade University. We also plan to answer any questions that Commission members may have. 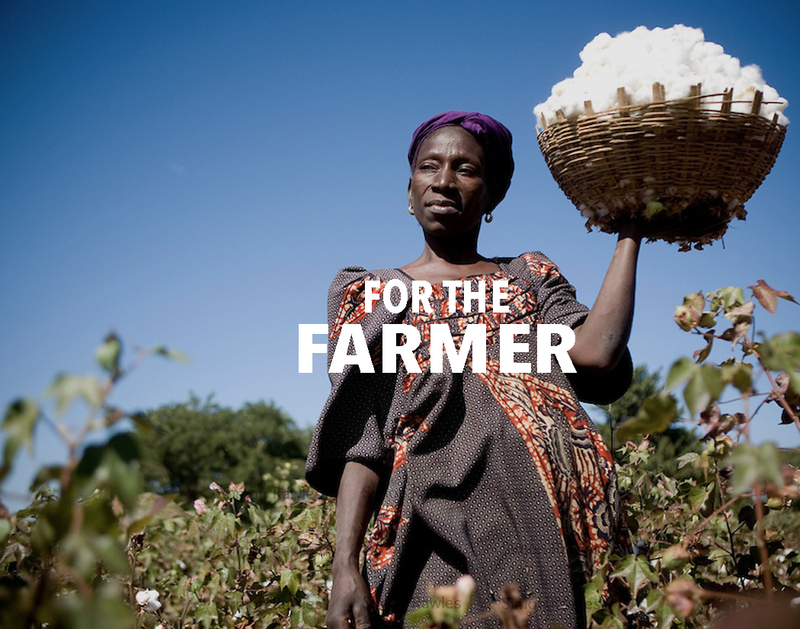 A choice for Fair Trade goods is a choice that supports responsible companies, empowers farmers and migrants workers, pushes for gender equality, fights against child labor, and protects the environment. Fair Trade companies pay their workers a fair and livable wage, decent working conditions and fair terms of trade for farmers and workers. It’s about supporting the development of thriving farming and worker communities that have more control over their futures and protecting the environment in which they live and work. When workers in underdeveloped areas, both in the US and worldwide, are given greater access to wages and resources, they are more likely to use these increases in wages as investments into their communities in terms of education, infrastructure, and housing. Fair Trade Certified workers invest 33% of their wages on average to housing (FairTrade Foundation). Already making great progress on purchasing → outlets & products already FT, including coffee in Books n Bytes and Max Market, Numi Tea, Peace Tea, Honest Tea, and many others! What would the resolution mean for SUNY Geneseo? What is Fair Trade and What is It Important? Fair Trade is a global movement comprised of a diverse network of producers, companies, consumers, advocates, and organizations who work to put at risk communities as well as the environment first. The products we buy and sell are directly linked to the livelihoods of individuals and we often fail to think about this. Most farm workers, especially in the United States are immigrants, most of whom are undocumented. This leaves workers vulnerable to exploitation. Employers can get away with poor and unliveable working conditions, extremely low wages, and lack of health insurance or disability insurance (The Guardian). These undocumented workers lack the support of legislators, while employers are free from liability as workers who attempt to report unpaid wages and disability by exercising their basic labor rights are often met with USICE and the threat of deportation (National Network for Immigrant and Refugee Rights). Large agribusiness companies are the worst abusers of their workers as it is cheaper to pay the fines for violation of health and safety laws than actually changing their practices. A choice for Fair Trade goods is a choice that supports responsible companies, empowers farmers and migrants workers, pushes for gender equality, fights against child labor, and protects the environment. Fair Trade companies pay their workers a fair and liveable wage, decent working conditions and fair terms of trade for farmers and workers. It’s about supporting the development of thriving farming and worker communities that have more control over their futures and protecting the environment in which they live and work. When workers in underdeveloped areas, both in the US and worldwide, are given greater access to wages and resources, they are more likely to use these increases in wages as investments into their communities in terms of education, infrastructure, and housing. Fair Trade Certified workers invest 33% of their wages on average to housing (FairTrade Foundation).